February 8-9 marks the Lunar New Year in many Asian countries. The first new moon between January 21th and February 20th marks the new year according to the Chinese lunisolar calendar which over the centuries has become the unofficial, but perhaps more culturally significant calendar in many Asian nations exposed to Chinese influences. 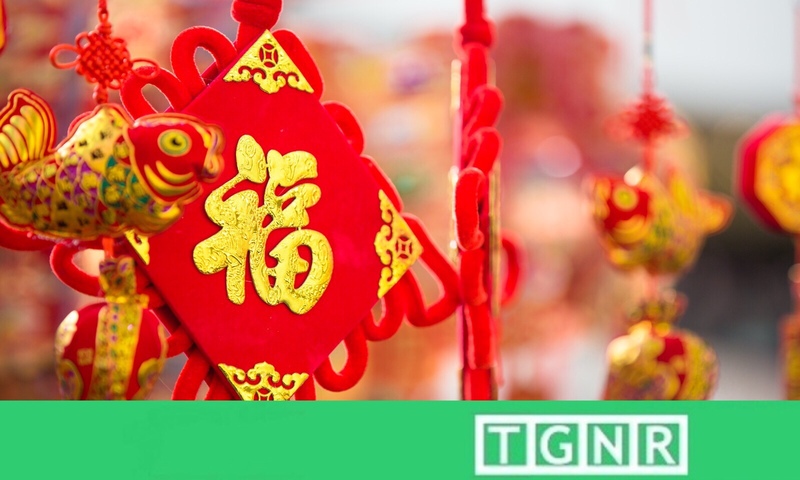 However, though they may share the same day, the Lunar New Year is celebrated in many different ways by different cultures. Here we review a few lesser known New Year’s traditions. Seollala, the Korean Lunar New Year centers around family reunion, both the living and ancestors who have passed on. Family members wear traditional hanbok in bright colors before starting the central rite of charye, a a special meal with which to honor a families forbears. The exact composition of the meal varies from region to region but frequently includes meat, herbs, fruits (but not peaches-they ward off spirits! ), and a soup with sliced rice cake called tteokguk. The family members then bow to the elegantly prepared ritual meal, honoring their ancestors and hoping their blessing is passed onto the food. After the meal, children bow to their elders, wishing them a healthy new year, and receive gifts in silk “lucky pouches” called bokjumeoni. Games are also an important part of the celebration. Yutnori, a game involving curved sticks is popular, as is jegihagi which resembles hacky-sack, and the see-saw game neolttwigi. North Korea also observed the Lunar New Year until it was banned by Kim Jong-un in 2015. Tsagaan Sar or White Moon Festival, starts on the the eve before Lunar New Year and lasts three days. On the night of the new moon, family member light candles to symbolize enlightenment bestowed by the Buddha. Then they feast on roasted mutton, airag, and cookies or bread stacked very specifically in odd numbers. While eating, oral histories are shared. Some Mongolian families place three pieces of ice and hay for the deity Baldan Lham who visits during the night. The next day, before the sun rises, the family, dressed in their best clothes, walk out of their home in a straight line towards a specific direction as proscribed by the Buddhist zodiac. A ritualistic greeting of elders and other extended family follows. Special blue and white scarves called khadag are given to the most respected elders at this time. After gifts are exchanged the feasting resumes with special dishes and lots of buuz – a meat filled steamed dumpling which women begin making a month in advance! Têt Nguyen Dan, often shortened to just Têt, is the Vietnamese New Year. Focus is on paying respects to ancestors. Every home prepares a plate of five fruits with each fruit representing one of the traditional elements: fire, wood, metal, water, and earth. The brilliant fruit is placed on the family altar in hopes for a prosperous new year. Peach blossoms also decorate the house. The traditional treat of Têt is bánh chưng, a square paddy of sticky rice, beans, and pork wrapped in a large, green leaf. In Vietnamese folklore, bánh chưng was made by a legendary prince as a gift to his king. Though his was the humblest gift, it pleased the king a became a representation of the element of earth. A final celebration involves the New Year Tree which is a six foot tall bamboo shoot. The top is decorated with colorful streamers, clay fish, and bells while thorns garner the base. At the very top is kerosene lantern and other votive offerings to lead their ancestral spirits back to the world to welcome the new year (the thorns keep the evil spirits at bay).